The new Qatar Country Map is the most accurate and comprehensive map of Qatar, and the best tool to find your way around the country. 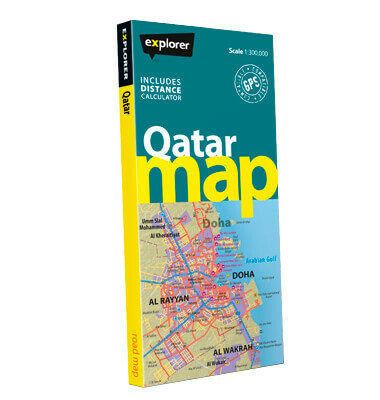 With a clean, easy-to-read design, the whole of Qatar is covered on one large scale map. Using the most up-to-date mapping available, it shows all cities, towns and villages, as well as key landmarks such as hotels, airports, markets, mountains and wadis, with a handy directory of map references so you can easily find your way about. Today's leading map for finding your way around Qatar and it's ever-changing capital, Doha.